The following article was written by Walter Block and published in the Journal of Libertarian Studies, 2006. Kevin Carson’s (2004) Studies in Mutualist Political Economy is an infuriating book. On the one hand, its author shows great familiarity with many of the most important libertarian  contributors to the field of political economy. Taking them in alphabetical order, they include: Eugen Böhm-Bawerk, Art Carden, Sean Corrigan, Roger Garrison, Leonard Liggio, Roderick Long, Tibor Machan, Carl Menger, Ludwig von Mises, Albert J. Nock, Robert Nozick, Franz Oppenheimer, Murray Rothbard  and Jean-Baptiste Say. On the other hand, familiarity with this list of libertarian authors seems to have been wasted on Carson, as he adopts the labor theory of value of all things as the basic building block of his analytic framework. And not only that, one could perhaps forgive a noneconomist for being seduced by the Marxist siren song of the labor theory of value. But he is also way off base on numerous elements of libertarianism, which he attacks with ignorant abandon. As the two main components of political economy are, naturally enough, politics and economics, and as Carson makes no real contribution to either, it is difficult not to dismiss his book as all but worthless. And this is a shame, since a lot of work and effort obviously went into the writing of it. One would have thought that with familiarity with authors of this sort, Carson could not have gone too far astray in his thoughts about political economy. If so, one would have been very wrong. On the third hand, and there is a third hand, Carson’s familiarity with libertarian political economy is so deep and profound;  some of it, at least, has caught on with him. There are vast tracts of his book where he demonstrates this, and even makes original contributions. More on this below, my overall assessment of this book is that it was written by a schizophrenic Dr. Jekyll and Mr. Hyde: when it is good it is very, very good, when it is bad it is really awful. Let us start off with his defense of the labor theory of value, his main error, and the source of much of his other mischievous and misguided public policy recommendations. For someone in this day and age to even take this doctrine seriously, let alone actually try to defend it, is equivalent to taking a similarly widely and properly rejected position vis à vis the flat earth, or the phlogiston theory. It is, in a word, medieval. Its well-known refutation goes as follows: If labor and labor alone determines the value of an item, what of the fact that a cherry pie and a mud pie contain the same number of labor hours and yet the former is far more valuable than the latter? The response of the unsophisticated Marxist  is that what he has in mind is not labor per se, but rather “socially necessary labor,” or some such. And, sure enough, Carson (p. 38) falls into precisely this trap, hook, line and sinker. But to define “socially necessary labor” as that which is correlated with value (the cherry pie has more of it than the mud pie, which, it turns out, has none), is to leave unexplained its genesis. Why is it that the cherry pie has lots, and the mud pie little or none? Could it be, possibly, that the cherry pie has socially necessary labor and not the mud pie because people like to eat the former and not the latter? Of course this is true. But if so, this is to argue in a circle, since we can never know what is “socially necessary” and what is not until and unless we know consumer values, a very different, and far more Austrian, explanation of price. A second refutation of the labor theory of value stems from considerations of time, risk, and time preference. Labor is always free to set up shop on its own. That it does not do so, indeed, that it relies upon capitalists to do so on its behalf, further undermines Carson’s Marxist contention that capital exploits labor. What does capital offer to labor? First, time. It takes time before a factory can be built, raw materials located, insurance undertaken, labor assembled, machine tools set up in place, etc. All during this time, before the first final good rolls off the assembly line, capital is paying labor. Suppose this process takes an entire year. But for this contribution of the capitalist, the laborer would have to live off his savings, mortgage his house, sell his car, etc. He could do so. But he chooses not to. Instead, he chooses to make a deal with the capitalist, for this precious time. Surely the latter deserves something, whatever is agreed upon, for this contribution. And what is typically agreed upon is that the capitalist shall be the residual income claimant, taking for himself whatever is left over after all factors of production, certainly including labor, have been paid their contractual share. Then, too, there is risk. Suppose that the product does not sell when offered to the public, at all. Not one single solitary item of it. Can the capitalist go back to the worker and say, “Remember that salary I paid you for an entire year, during the time when we were setting up operations? Well, the item didn’t sell. So, please give me back the wages I advanced you.” As the residual income claimant, the entrepreneur can do no such thing. He, not the laborer, is the risk bearer. The point is, the employee gets his salary for sure, and in advance of the completion of production and then sale of the good. Even if this process is not complete for a year or more, the capitalist will have to wait to be compensated. This is why the worker voluntarily agrees to the deal. This is singularly unhelpful. Where oh where does Carson think capitalist entrepreneurs arise from, originally, apart from the class of artisans who begin working on their own account, reduce their consumption below income, and use the resultant savings to finance employees on a residual income claimant basis? It of course cannot be denied that some capitalists get their start out of stolen past labor, as he asserts over and over again, but this need hardly be the case. Apart from this, Carson’s answer to Böhm-Bawerk is incomprehensible to me. Presumably, if he had an answer to Böhm-Bawerk’s devastating critique of socialism, he would have offered it at this point. Instead, he devotes a scant nine pages (pp. 104–12) to even considering this crucially central point, the overwhelming majority of which is used to cite his critics, Very bad form. Further, Carson’s economic analysis is marred by a series of other errors. For example, he (pp. 15, 24) conflates profits (which disappear in equilibrium) with interest (which does not). He (p. 14) sees economics as a zero sum game wherein the capitalist can only earn at the expense of the worker. He does not seem to realize that all commercial interactions, particularly including the one between employer and employee, are of necessity mutually beneficial in the ex-ante sense, and, as a matter of overwhelming empirical reality, beneficial in the ex post sense as well. 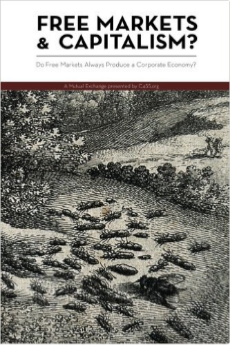 He (p. 19) thinks there can be such a thing as “free market socialism,” not realizing this is a contradiction in terms, if the latter phrase is used, as per usual, as employed by this author, to strip the capitalists, entrepreneurs, landowners, etc., of their due. He (p. 20) does not seem to understand that “monopoly” necessarily involves governmental interferences with free entry into an industry. He (p. 22) thinks that “profit results from unequal exchange”; pray tell, what is that? In one sense, all exchange is equal, in that both parties gain in the ex-ante sense, otherwise they would scarcely engage in it. In another sense it is unequal in that each part to the trade values what he gets more than what he gives up. But in neither sense is there anything untoward about it, this author to the contrary notwithstanding. He repeats this error about unequal exchange several times, for example on p. 115. However, he (p. 131) sees “capitalist acts between consenting adults” in Nozick’s felicitous terminology (1974, p. 163) in a positive manner, correctly rejecting the concept of the market as a zero sum game. It is more than passing curious how he can be so sensible in one section of this book, and so prone to error in others. Our author (p. 68) approvingly cites Smith (1776) to the effect that “the ‘real price’ of a thing … what it ‘really costs to the man who wants to acquire it’ was ‘the toil and trouble of acquiring it’.” But suppose I am out for a stroll and see a gigantic diamond sitting on a rock. I don’t even have to go through the “toil and trouble” of bending down to pick it up; it is right there, hand high. All I do is seize it. There is virtually no “toil and trouble” involved. And yet this precious stone is worth millions. Here is another. States Carson (p. 131): “In an order of free and voluntary exchange, all transactions are mutually beneficial to both parties. It is only when force enters the picture that one party benefits at the expense of the other.” This is all well and good, at least superficially. The difficulty is encountered when we realize that for these author “force enters the picture” whenever an employer makes an offer to an employee. For him, this is (unjustified) force in that the former is necessarily exploiting the latter. Suppose we invert the initiative. That is, posit that an employer does not approach a group of employees. Rather, the latter initiate the employment contract with the former, realizing that they cannot set up a firm on their own; they do not want to bear the time and risk costs associated with capitalist entrepreneurship. Let us make matters even more uncomfortable for Carson. Suppose that the employer, A, to whom the employees make this proposal, was himself previously an employee; he was, indeed, one of them. Only he, unlike they, saved up a bit of money sufficient to keep matters going for a year, and is willing to bear the attendant risk. Would Carson then give up his thesis that the employer is necessarily exploiting the employees? If so, the core of his book is gone. If not, it is exceedingly difficult to see why we should pay any attention to it. It is difficult to answer this question, as Carson never contemplates any such scenario. How are we to account for this Carson phenomenon? By this I mean, how can it be that a scholar, who is intimately familiar with the works of Mises, Böhm-Bawerk, Rothbard and many others in the Austro-libertarian tradition, and yet rejects them utterly? This is entirely speculative, but my guess is that although Carson shows great familiarity with this literature, it is possible that he has never personally engaged over it with any of its proponents. That is, he is sort of an intellectual hermit; he only read this material, but never fully wrestled with it, as most people can only do in dialogue with adherents of it. In other words, reading is only part of the practice of scholarship. Personal interactions, debate, dialogue, too, are necessary. My scant evidence for this contention  is that Carson (p. 134) characterizes his intellectual opponents as “Miseans,” not the correct “Misesians.” No one who has ever had any personal contact with advocates of this perspective would make this mistake; yet I have heard it, often, from those whose knowledge of the subject comes only from reading books. Perhaps this is only a typographical error. If not, it might have some explanatory value. A word about nomenclature, There are two types of “capitalism.” First, there is corporate state monopoly capitalism, or economic fascism. Here, the ruling classes are guilty of all sorts of exploitation and abuse. I have in mind outright theft, of course, not merely employing people on a voluntary basis. Second, there is anarcho-capitalism, or laissez-faire capitalism, where, apart from what Marxists like Carson would consider employer exploitation of workers, all is well. The society functions on the basis of the twin libertarian axioms of private property rights (based on homesteading and voluntary trade) and nonaggression. The point is, these two systems are as different as night and day. They have nothing in common except for this highly unfortunate terminology that labels both “capitalism.” Where does Carson stand on this issue? Is he part of the problem, conflating these two, or part of the solution, making a sharp distinction between them? To ask this is to answer it, after one has even perused his book. As might be expected by now, this author does all he possibly can to bring about confusion in this regard. For example, his (pp. 140–43) denigration of Mises for defending the industrial revolution and others for championing sweats shops employers, who were guilty only of offering higher wages than those prevailing on the farm several centuries ago, or in the underdeveloped world at present. He does so on grounds that these employers were guilty of various and sundry crimes. Maybe they were. But this is all so beside the point. Mises, certainly, was not defending land theft, or whatever charges (other than offering employment on a voluntary basis) Carson is bringing. He was only supporting these employers qua employers! And it is not as if Carson is totally unaware of the crucial distinction between these two very different kinds of capitalism (p. 144). Thus his criticism of Mises, et al., constitutes perhaps a purposeful and willful confusion between the two. Of course there has been land theft, as Carson (pp. 144–59) charges. But it should not be necessary to remind this author that this is part and parcel of state monopoly corporate capitalism, not the laissez-faire variety. There are those of us who have been struggling to make this distinction, especially for analysts of South and Central America, a region of the world that has seen much more than its fair share of land theft. These analysts commonly confuse the two very different kinds of capitalism. Carson infuriatingly muddies the waters here, even though he full well knows the difference. Carson’s treatment of the industrial revolution (pp. 159–69) is another case in point. He fails utterly to distinguish between the two varieties of capitalism. Surely, there was some land and other theft, suppression, exploitation. But because of this, our author throws out the innovation baby along with the repression bath water. Surely, we can properly distinguish between the entrepreneur who drags the economy into modernity, and employs children who otherwise would have starved, even if one and the same person were also guilty of violations of the libertarian nonaggression act. The modern “world market” was not created by free market forces. Like capitalist production in Western Europe, it was an artificial creation of the state, imposed by a revolution from above. The world market was established by the European conquest of most of the world, and by the naval supremacy of the Western European powers. Manufacturing to serve a global market was encouraged by state intervention to shut out foreign goods, give European shipping a monopoly of foreign commerce, and stamp out foreign competition by force. My reply is, sure, but so what? Yes, there was an admixture of the two types of capitalism in the development of world trade. Does this mean we toss it out, because of the violations of liberty? Not at all, instead, we attempt, where possible, and the guilty parties or their heirs can be uncovered, to make reparations (Block 2002; Block and Yeatts 1999–2000). Then, we support world trade, the industrial revolution, foreign investment in underdeveloped countries, sweat shops, etc., not attack them for these imperfections with which they are sometimes historically, but certainly not necessarily, connected. 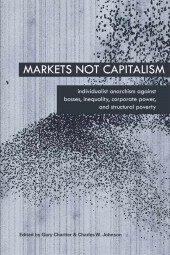 The anarchist position … is that exploitation and class rule are not inevitable at any time; they depend upon intervention by the state, which is not at all necessary. Just social and economic relations are compatible with any level of technology; technical progress can be achieved and new technology integrated into production in any society, through free work and voluntary cooperation. Likewise, any technology is amenable to either libertarian or authoritarian applications, depending upon the nature of the society into which it is integrated. But if so, why blame the industrial revolution? That is, why blame the episode per se? Yes, theft and rights violations of various sorts occurred during this historical epoch. But the same is true of all historical events. We might as well reject them all as this one. What is it with these “parasitic landlords” (p. 206)? They are guilty of some sort or other of theft or fraud, in which case they are criminals, or they are not, in which case they take their honoured place amongst all other economic actors in the free society. Or, more likely, some of them are, others are not, or, sometimes one and the same person is a free-enterprise landlord, and other times he is, also, a criminal. In such cases, we castigate the illicit acts, and defend the licit ones. But use of this phrase puts Carson way out in left field. Is he running for political office in one of the People’s Republics of Santa Monica, Ann Arbor, or Cambridge, Massachusetts? I object to Carson’s favoring of “left Rothbardians.” Murray, ‘tis true, made alliances with the left upon occasion, when he thought that to do so would best promote liberty. But the same identical situation occurs, also, for the right. His philosophy, in sharp contrast, was plumb line libertarianism (Block forthcoming), of neither wing. I think Carson is trying to liken so-called left wing Rothbardianism with libertarianism or laissez-faire capitalism, and, by extension, right wing Rothbardianism with state monopoly corporate capitalism, or fascism. But to do so does grave violence to the facts. Rothbard was a libertarian of neither wing; he was an Austro-libertarian anarchist. Carson (p. 211) appears to be something of a Georgist: “A return on land … could exist only through privilege.” But land, too, is subject to good or bad management. The free enterprise system tends to take land out of the hands of the former and place them in those of the latter. It is unclear why an adamant and unshakeable belief in the labor theory of value would incline Carson, a supposed anarchist, in the direction of disallowing entrepreneurial control of the earth. Perhaps, and this can only be speculative, his view stems from the undeniable fact that there has been more than just a little bit of land theft in history. But this by no means justifies the even greater land theft of taking it away from its honest homesteaders (Hoppe 1993). For a full remedy to the moral and intellectual disease of Georgism, see Rothbard (1957). Our author takes the mainstream neoclassical view on monopoly and competition vis à vis the correct Austrian one. According to the former, whether or not there is monopoly or competition depends upon the number of firms there are in an industry. According to the latter, it is all a matter of whether or not free entry is legal. Carson (p. 240) characterizes as an example of monopoly capitalism “The rise of an economy dominated by … industries in which a relative few firms predominated.” But as anyone who has ever been in a boxing ring full well knows, this is a highly competitive environment even though there are only two “firms” operating there. True competition can take place with only one firm providing a given service. For example, IBM and Alcoa for many years were the only ones providing computers and aluminum, respectively. Yet, of course, there was no law prohibiting others from entering these industries, and eventually others did just that. Truth be told, competition can take place with zero competitors. As long as no one is prohibited by law from doing something, there is competition in that field. For example, right now no one provides a good consisting of fish and bicycle combos, or chocolate covered pickles. Competition, here, is completely wide open. These are competitive industries, with zero competitors, because there is no law prohibiting or limiting provision of such goods. Again, frustratingly, Carson takes the correct Rothbardian line (p. 243) vis à vis the “Randroids and Chicago boys” as to trust busting. This initiative was undertaken not by good guy governments’ intent upon saving hapless consumers from the depredations of bad guy businessmen. Rather, antitrust was and is a plot on the part of bad guy businessmen to reduce competition; bad guy governments cooperated in this scheme to bilk the public. Does this author contradict himself purposefully, just in order to vex me? In this vein Carson attacks (p. 246) corporate “paternalism” wherein firms offer workers, on a completely voluntary  basis, such things as housing, pensions, and other fringe benefits. What, pray tell, is wrong with that? Why should wages take the form of only money? What is wrong with nonpecuniary payments? Why is it evil for employers to air condition their premises, paint them nice colors, offer piped in music, etc.? Even granting the Marxist contention that paying wages is a form of theft, why is it additional thievery to pay some of this in the form of nonmonetary compensation? Further evidence that Carson’s grasp of the distinction between laissez-faire capitalism and fascism is of the most superficial variety, he criticizes institutions of the former such as “scabs” (p. 254), “collusion” (p. 265), “price leadership” (p. 265), and “dumping” (p. 303). As another instance of his economic illiteracy, he thinks (p. 257) “Demobilization of the war economy after 1945 very nearly threw the overbuilt and government-dependent industrial sector into a renewed depression.” He ought to be made to read Hazlitt’s (1979) chapter “Disbanding Troops and Bureaucrats.” Further, he (p. 266) buys into the notion that sees “monopoly profit as a surplus extracted from the consumer in the exchange process.” This is of course quite reasonable in the monopoly that emanates in state monopoly corporate capitalism; here, some firms are forbidden entry, and the privileged others can certainly exploit consumers. But how in bloody blue blazes can this take place under laissez-faire capitalism, where additional profits supposedly garnered by the “monopolists” will draw other entrepreneurs to the industry, as honey does to flies? Surely, all trade in the purely free enterprise system is mutually beneficial in the ex-ante sense, and there is no exploitation. Still, Stromberg greatly overestimates the advantages of large-scale production in a free market. In all but a few forms of production, peak economy of scale is reached at relatively low levels of output. In agriculture, for instance, a USDA study found in 1973 that economy of scale was maximized on a fully-mechanized one-man farm. More than passing curious is that Carson would place so much faith upon a USDA study. The correct view, it seems to me, is that outsiders such as bureaucrats, the USDA, or Carson himself can never determine (the presumably continually changing) optimal size of firms. Rather, the market does this. Absent government subsidies, favors, regulations, other interventions, as they would be under laissez- faire capitalism, whatever size firms survive and prosper are the optimally sized ones (Stigler 1958). This is an empirical issue which does not square with pronunciamentos such as Carson’s. In our author’s view (pp. 322, 324), bigness is badness. But only the market can determine how big is too big. And, if a firm exceeds this barrier, whatever it is, market forces will soon enough rein it in. Companies such as Microsoft, Wal-Mart, Coca-Cola, and McDonald’s are truly gargantuan. Does this mean they are too big? Not a bit of it. Were this but so, they would now be well on their way toward a reduced size; their competitors would see to it. In future, this might well become the case; if so, we can count upon them shrinking. Nor is it easy to see how the government presently props them up. If anything, the very opposite would appear to be the case. One need not be a Randroid of the “America’s Persecuted Minority: Big Business” (Rand 1966) variety to discern some truly market firms, even in the morass of government regulation now plaguing us. It is time to draw this review to a close. This is an interesting, even fascinating, but ultimately frustrating book. On some issues, Carson is right on point. On others, he is out there, way, way out there in some sort of Marxist never never land. 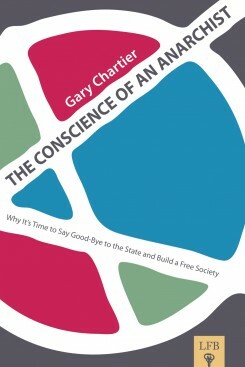 Perhaps the series of book reviews of which this present one is one part can help bring him back down to reality: free enterprise anarcho capitalist laissez-faire reality, that is. Professor of economics at Loyola University, New Orleans. 2. This is a redundancy. 3. Carson lists no fewer than nine of his publications. 4. Yet one more indication of the weakness of the labor theory of value. 5. Most critiques of Austrianism emanate from those whose knowledge of the field is very skimpy (e.g., Tullock, 1987; for a rejoinder, see Salerno, 1989). The book presently under review is an exception. For another, see Caplan, (1999, 2001, 2003; rejoinders include Hülsmann, 1999; Block, 1999; 2003, 2005; and Barnett, unpublished). 6. Another redundancy, I fear. 7. Of course the phrase could reasonably be used to depict voluntary communal living, voluntary workers’ cooperatives, etc., but these are but part and parcel of the free enterprise system of capitalism. 8. I do not know Carson personally. I have no knowledge of whether or not he has ever personally interacted with any Rothbardians. The guesses hazarded in the text are purely speculative. 9. Sadly, there is no index in this publication. In order to give the page numbers for this discussion, I had to thumb through the entire book. There is also some sloppiness with regard to footnoting. For example, footnotes 30 and 31 on p. 208 refer ostensibly to Milton Friedman; yet, the material on p. 236 does not bear this out. 10. However, he neglects to cite the magisterial Kinsella (2001) on this issue. 11. Well, as voluntary as anything can be, given that the employer-employee relationship is necessarily one of predation and exploitation. 12. Apart from not incarcerating all the principals of these firms for the “crime” of employing workers. Ok, ok, government protects Coca-Cola patents and copyrights. Give me a break. Barnett, William II. “Contra Caplan.” Unpublished manuscript. Block, Walter. 2005. “Rejoinder to Caplan on Bayesian Economics.” Journal of Libertarian Studies 19 (1): 79–95. ———.2003. “Realism: Austrian vs. Neoclassical Economics, Reply to Caplan.” Quarterly Journal of Austrian Economics 6 (3): 63–76. http://www.mises.org/journals/qjae/pdf/qjae6_3_4.pdf. ———. 2002. “On Reparations to Blacks for Slavery.” Human Rights Review 3 (4): (July–September): 53–73. ———. 1999. “Austrian Theorizing, Recalling the Foundations: Reply to Caplan.” Quarterly Journal of Austrian Economics 2 (4): 21–39. 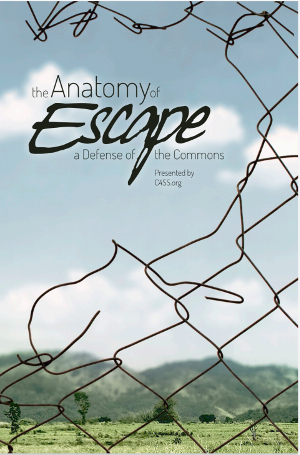 http://www.mises.org/journals/qjae/pdf/qjae2_4_2.pdf; and errata: http://www.mises.org/journals/qjae/pdf/qjae2_4_9.pdf. ———. Forthcoming. “Plumb Line Libertarianism.” Reason Papers 29. Block, Walter, and Guillermo Yeatts. 1999–2000. “The Economics and Ethics of Land Reform: A Critique of the Pontifical Council for Justice and Peace’s ‘Toward a Better Distribution of Land: The Challenge of Agrarian Reform.’” Journal of Natural Resources and Environmental Law 15 (1): 37–69. Caplan, Bryan. 2003. “Probability and the Synthetic A Priori: A Reply to Block.” Quarterly Journal of Austrian Economics 6 (3): 77–83. ———. 2001. “Probability, Common Sense, and Realism: A Reply to Hülsmann and Block.” Quarterly Journal of Austrian Economics 4 (2): 69–86. ———. 1999. “The Austrian Search for Realistic Foundations.” Southern Economic Journal 65 (4): 823–38. Carson, Kevin A. 2004. Studies in Mutualist Political Economy. Self-published: Fayetteville, Ark. http://mutualist.org/id47.html. Hazlitt, Henry. 1979. Economics in One Lesson. New York: Arlington House. Hülsmann, Jörg Guido. 1999. “Economic Science and Neoclassicism.” Quarterly Journal of Austrian Economics 2 (4): 3–20. Kinsella, N. Stephan. 2001. 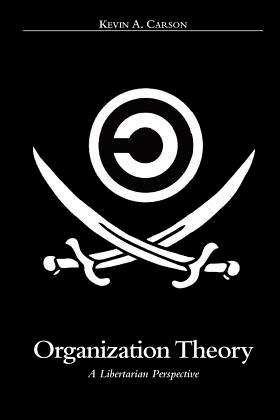 “Against Intellectual Property.” Journal of Libertarian Studies 15 (2): 1–53. http://www.mises.org/journals/jls/15_2/15_2_1.pdf. Rand, Ayn. 1966. Capitalism: The Unknown Ideal. New York: Signet Books. Rothbard, Murray N. 1957. A Reply to Georgist Criticisms. Irvington-on-Hudson, N.Y.: Foundation for Economic Education. July, pp. 1–3. Reprinted in The Logic of Action Two: Applications and Criticism from the Austrian School. Cheltenham, U.K.: Edward Elgar 1997. Pp. 306–10. Salerno, Joseph T. 1989. Comment on Tullock’s “Why Austrians Are Wrong About Depressions.” Review of Austrian Economics 3: 141–45. Smith, Adam. 1965. An Inquiry into the Nature and Causes of the Wealth of Nations. New York: Modern Library. Stigler, George. 1958. “Economies of Scale.” Journal of Law and Economics 1: 54–71. Tullock, Gordon. 1987. “Why the Austrians Are Wrong About Depressions.” Review of Austrian Economics 2: 73–78.